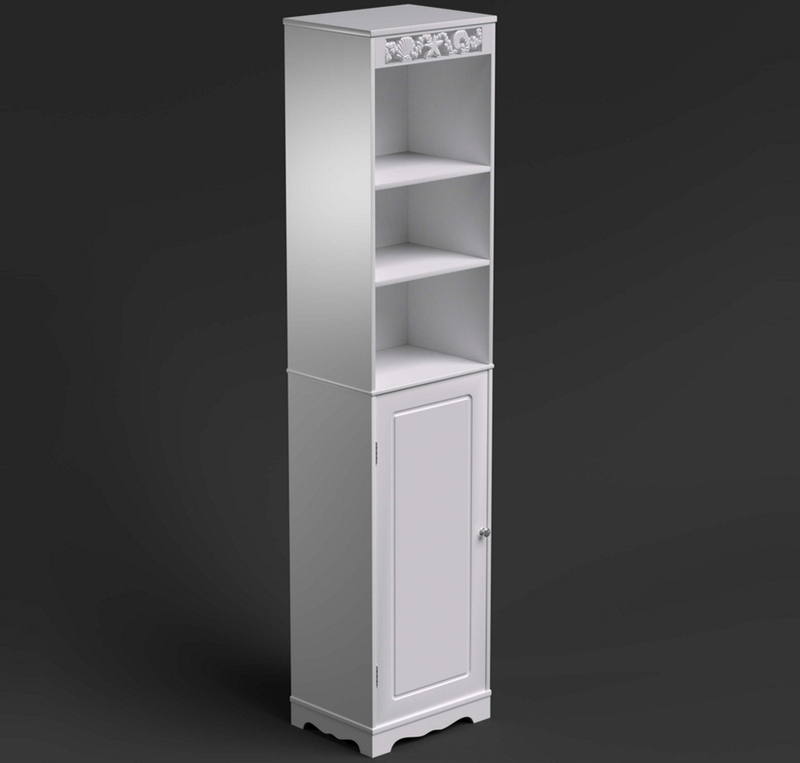 This Tall Bathroom Cabinet is part of the stylish GlenRoss Furniture St Tropez Bathroom Collection, which features hand crafted fretwork detail. 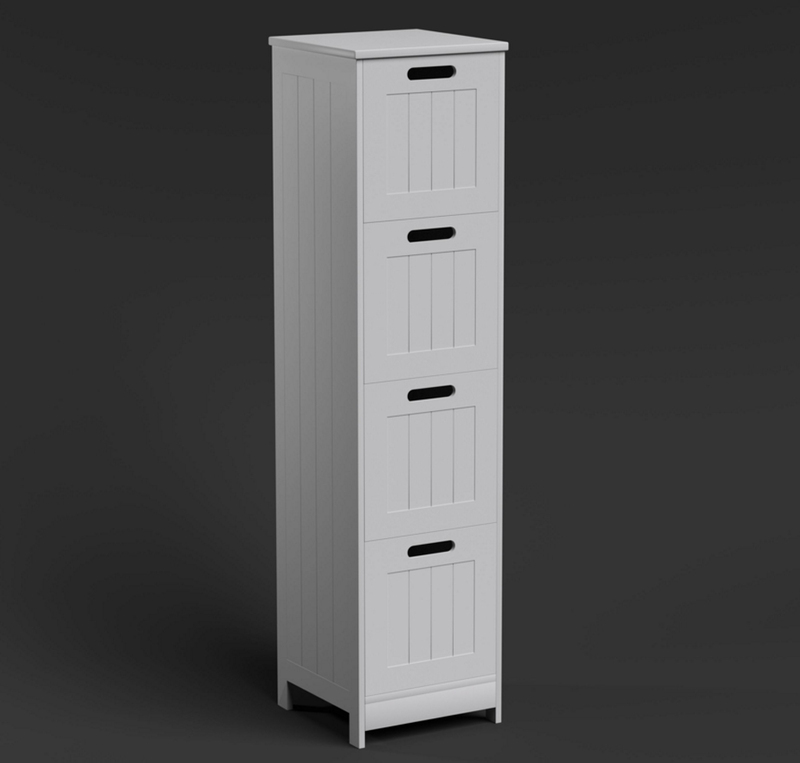 The cabinet has 3 fixed lower shelves, behind a half height solid door, finished with a petite chromed handle. Above this are 3 further fixed open shelves. 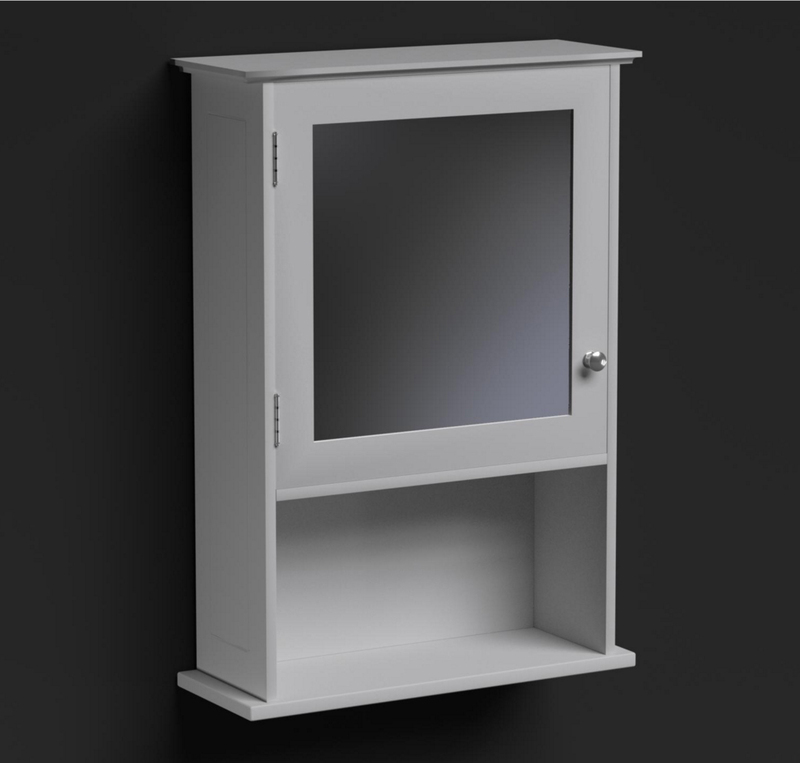 As an additional safety measure, we include all parts required to fix the cabinet to the wall. 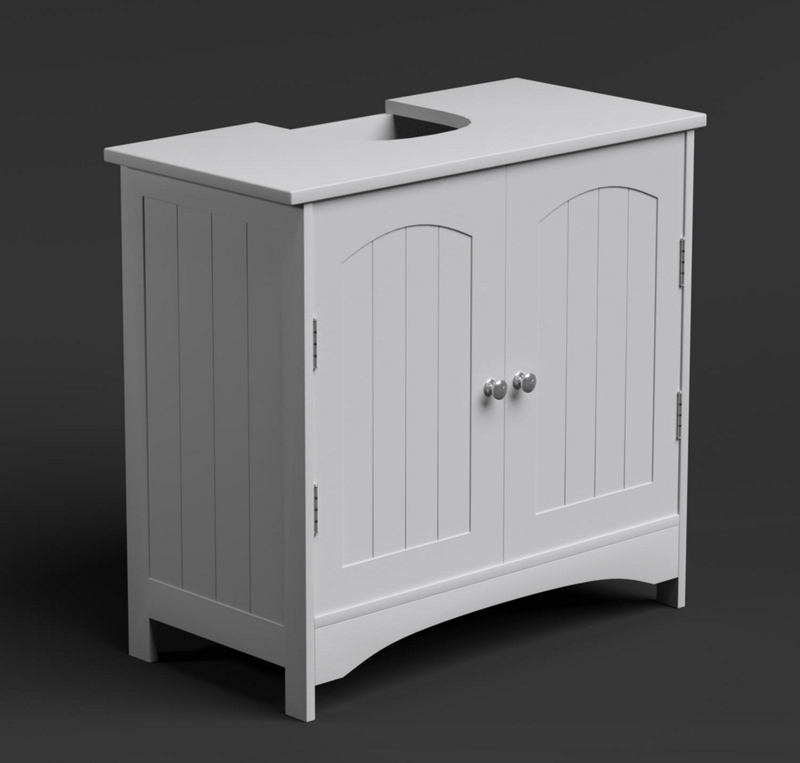 Taking its name from, and inspired by the exclusive coastal port of St Tropez, this elegant, yet sturdy cabinet is designed to offer both style and storage solutions for your bathroom. 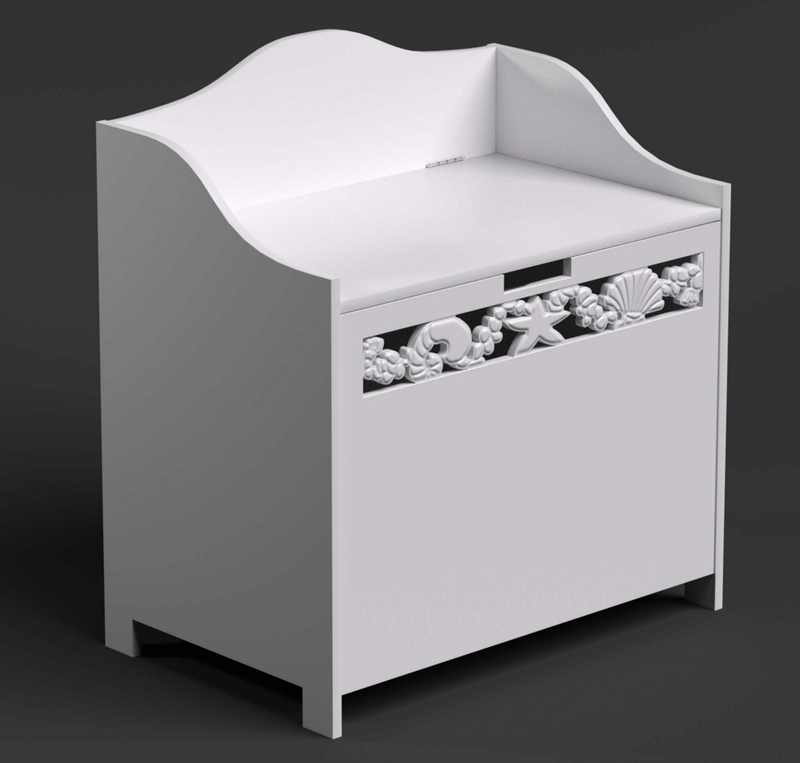 Part of a collection of 5 pieces offering combined storage for all aspects of everyday family life; towels, toiletries, cosmetics, photos etc leaving you more time to rest, relax and pamper yourself. Small changes make a big difference, so put the walls and floors to work and create the perfect bathroom for you. Rethink your space today with the St Tropez collection….when your bathroom works for you, life becomes simple and enjoyable. Please note: This is an easy self assembly product.